With Titan FC recently agreeing to a major deal with UFC Fight Pass to exclusively broadcast their fight cards, Titan FC announced their first fight card that will be airing on Fight Pass. The fight card, Titan FC 34, is a fight card that many MMA fans would dream of seeing. It is loaded with four title fights that include former UFC fighters, UFC Prospects, and some of the best talent outside of the UFC. In the co-main event of the evening, former UFC fighter Kurt Holobaugh takes on undefeated UFC prospect Andre Harrison. Some think that whoever wins this fight could either get the call back to the UFC for Holobaugh, or for the first time in the case of Harrison. With the UFC Fight Pass deal, Titan FC fighters now have some of the UFC big guns watching, if they did not already. Holobaugh, who was released from the UFC after just one loss, has been determined to make it back. 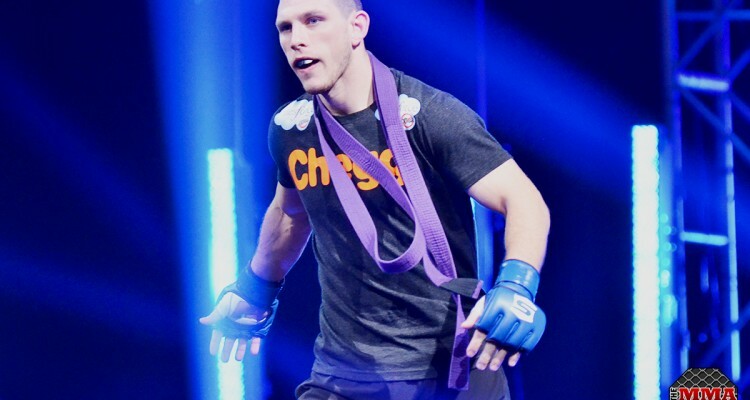 Since his release, Holobaugh has won all five of his fights. Holobaugh told The MMA Corner and explained the UFC Fight Pass and Titan FC deal as, “one step closer,” referring to him making it back to the UFC. Holobaugh is taking on Andre Harrison on July 18, and he talked about his upcoming fight against the prospect. Andre Harrison is currently 9-0 in his career and has been getting better every time he steps into the cage. He talked about getting the chance to take on Holobaugh for the featherweight belt. Harrison talked about the good in the Titan FC and UFC Fight Pass deal for his career. “The good side would be that certain people in the UFC that might not have been able to watch us on CBS Sports will have direct access to watch us. That is a good sign,” said Holobaugh. 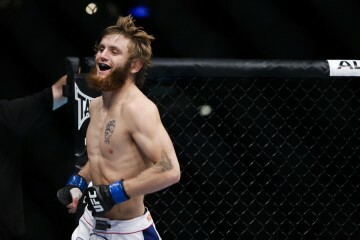 A good sign it is because if Harrison can beat Holobaugh he will be one step closer to getting the call to the UFC. He has a very big step though, as Holobaugh is a very tough opponent. 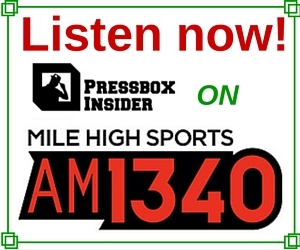 Harrison talked to The MMA Corner about Holobaugh and their fight on July 18. Both fighters talked about why fans should tune in to UFC Fight Pass to watch Titan FC 34 on July 18. You can catch the wars of Titan FC 34 on July 18, on UFC Fight Pass.